Quick Take: Breaking Bad, "Bug"
(S0409) One underlying theme that has popped up from time to time on this fourth season of Breaking Bad is Walt’s complete lack of understanding as to how much Gale’s murder has affected Jesse. Jesse has become crippled by it at times, even seeing visions of him while playing first person shooter video games. Even more so than Jane’s death in Season Two, the deed he did has hollowed him out. Working with Mike has somewhat filled the void, but even as that has garnered him new responsibilities, there’s always Walt pulling him aside and asking why he hasn’t killed a second person for him yet. In Walt’s mind, he’s killed more than enough people to keep their operation/lives afloat, both directly (Krazy-8, the street dealers) and indirectly (Jane, the passengers on Wayfarer Flight 515). Jesse’s way behind in the kill count and should step up and off Gus. But while it would be ignorant to assume murder comes easy to Walter, he can push his guilt down in ways that Jesse can’t. Walt’s a bad person. Jesse isn’t. And so killing Gale constitutes a huge favor that Jesse did for Walt. Yet once again, Walt seems to hold little appreciation for Jesse doing so. And it seems like Jesse finally has taken enough verbal abuse from Walt and proceeds to whip a battery-sized GPS tracking bug right at Walt’s face. The fight that follows has been a long time coming. Walt and Jesse’s relationship has often been described as father and son like. But they’re not blood and they have no familial guilt to stop them from brutally beating each other in Jesse’s living room. It’s violent and gritty and expertly shot, but the aftermath of the fight leaves many, many avenues Breaking Bad can continue forward on. It just might not include Walt and Jesse working together at the center of it. The conversation that led to the fight came from Walt’s discovery that Jesse had spent the evening at Gus’ house the night before and had dinner with him, yet didn’t give their boss the ricin. Jesse initially lied and said he hadn’t seen Gus, but the bug was the proof. The more important topic on Jesse’s mind was what Gus asked him to do: fly to Mexico and teach the cartel how to cook Walt’s recipe. Gus has finally given into the cartel’s demands to give up 50% of his business. He does so seemingly with reluctance, but after the cartel’s “spokesperson” uses a sniper rifle to kill another of Gus’ men, he caves (though not before being a badass and walking out in the middle of the shooting, knowing the rifleman wouldn’t hit him). The other main thread in tonight’s episode involved the return of Ted Beneke. He visits Skyler at the carwash (where he assumes she’s just a cashier) and confesses that he is being audited by the criminal investigation branch of the IRS for his whole “not paying taxes” thing from a couple seasons ago. He comes to ask Skyler to “uncook” the books, but it’s far too late for that. The more pressing issue, though, is that once the audit begins, they’ll not only scrutinize Ted, but also everyone else involved with the books, including Skyler. The last thing a money launderer needs is that. She cleverly diverts the special agent’s investigation by showing up late to Ted’s deposition in a low-cut shirt and acting ditzier than a supporting character on Entourage (r.i.p.) and explains that her tiny, female brain couldn’t possibly have been expected to understand how the bookkeeping worked. Plus the Quicken said it was okay. The agent lets them off the hook for the criminal aspects, assuming the misplaced money wasn’t purposely missing, but that still leaves Ted on the hook for over $600,000 in back taxes which he does not have. Skyler tells him to deal with it herself, but knows that if he absolutely can’t, she might have to dig into Walt’s meth money because eventually the IRS will get back in Ted’s and her business. The question will be whether or not she tells Walt (or if he would even know the money’s gone). Next week it looks like Jesse, Gus and Mike will be going on a field trip to Mexico. It’ll be interesting to see the show leave the Albuquerque setting, something it’s only done a handful of times in the past. So pack your tequila and sombreros. Great breakdown! As "Breaking Bad" is one of the only shows - maybe THE only show - I watch religiously, this place has become my first stop after every episode. One of the themes I paid attention to this week was the idea of "talking like men;" it's a phrase that was repeated often. Perhaps most notably, it showed the kind of relationship that Jesse has with Mike, Gus, and Walt. What I've noticed is, we're four seasons in and Jesse still refers to Walt as "Mr. White." 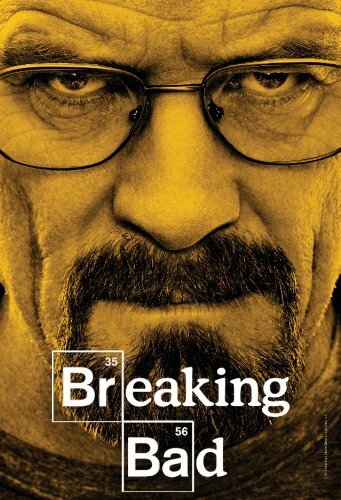 Gus is "Gus" and Mike is "Mike," but Jesse still refers to Walt with the honorific Mr. White, as if he is still not on a level equal to Walt. Whereas Jesse has established equal, "manly" positions with Gus and Mike - OK, it's obviously not equal, but at least respectful - but Walt still treats Jesse like a petulant student who couldn't function without him. In turn, Jesse still refers to Walt as if he's sitting in chemistry class. Now why is that...is Walt afraid of Jesse? We remember that when Jesse did try his hand at cooking the blue meth, it didn't come out too bad at all. In fact, Walt seemed unnerved that Jesse did a pretty decent job, so much so that his reaction of angrily bashing Jesse's effort seemed more like he was trying to keep Jesse down for Walt's own ego and benefit. It's a very odd dichotomy, if you ask me; Walt goes to great lengths to protect Jesse, but any time he has the opportunity to remind Jesse of his "place," he takes it. I wish I had more time to examine this further. I think we're seeing a recurring theme of Walt's ego, pride, and lack of empathy getting in the way of what would **otherwise** be the all time great criminal mastermind that he is trying to be in some ways. In fact, a pretty awesome conclusion to the series perhaps would be a twist on what The Shield did (one of the all time great series conclusions in my view): have Walt lose his family, lose Jesse, lose all the human connections he had in his life, and have him sitting on top of the rubble of Gus' and the cartel's empire. How badass would that be?